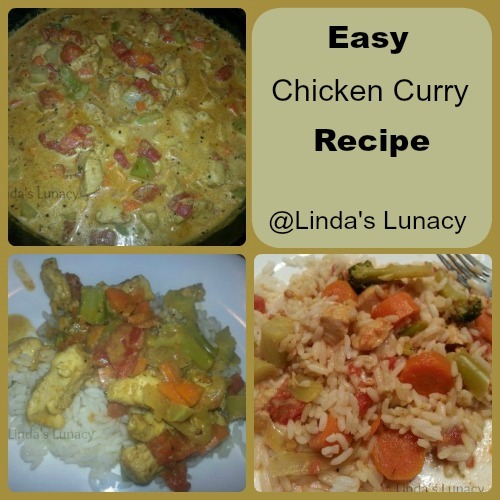 I’ve been using this Easy Chicken Curry Recipe for a couple of years now. I just recently realized that I hadn’t shared it here! It’s a fairly quick and easy recipe to make. It’s a favorite with my family, too. It has a spicy flavor, but it’s not spicy hot. 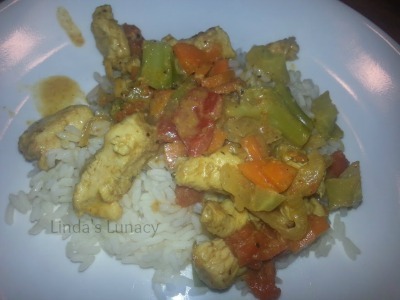 I don’t like spicy hot food, and this recipe is perfect to me. In a large skillet, cook the onions and curry paste in 1 tablespoon of oil. Cook over medium heat, stirring often, for 5 minutes. Add remaining oil, cubed chicken, and season with salt & pepper. Cook the chicken until golden on all sides. Add carrots, broccoli, garlic, & basil. Cook & stir for 2 minutes. Add chicken broth, tomatoes, and coconut milk. Bring to a simmer. 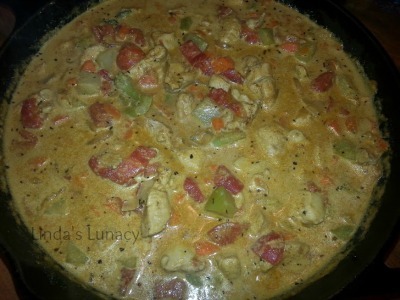 Let simmer for about 20 minutes, until chicken is cooked through and sauce has begun to thicken. 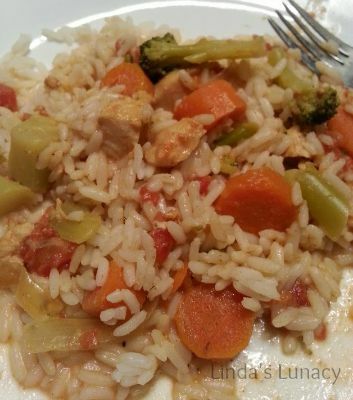 This recipe serves 6-8 people when served over rice. If you happen to have leftovers, it’s good the next day, too!